Report for diaper duty with the Sorbus Baby Organizer Caddy! Store all your baby, infant, and kid supplies in this adorable multi-compartment organizer. It's a stylish way to keep diapers, wipes, ointments, and many other essentials handy. You can separate the caddy using the Velcro insert divider to fill both sections with specific products, or you can detach the insert for larger items like blankets and towels. The outside pockets are big enough to hold small creams and grooming tools, but versatile enough for adult personal items. Now parents can keep products within reach at home or on the go. The portable handle makes it easy to carry around the house and folds flat for storage. 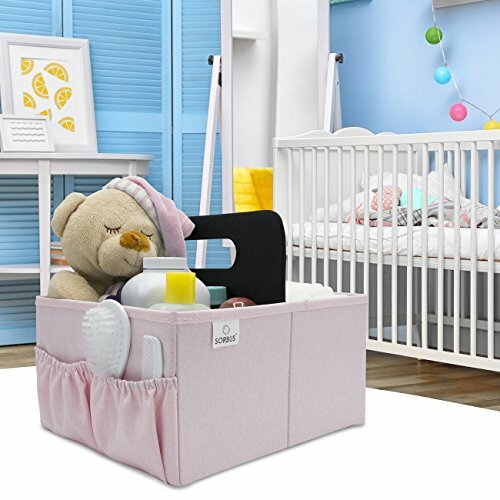 As your baby grows, this caddy can be used for toys, books, art supplies, or mama's make-up caddy! 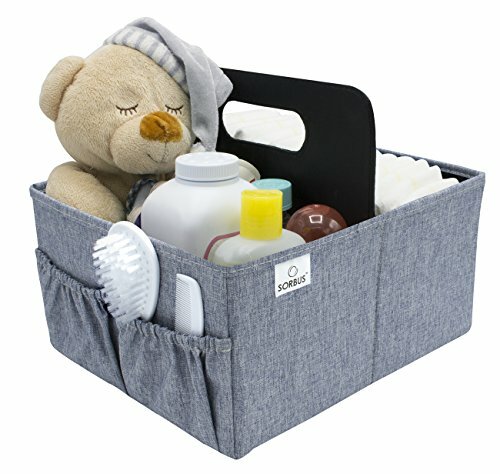 This portable diaper organizer is easy to carry and makes the perfect gift for new parents! Babies can never have enough bibs, burp cloths, and blankets! This portable diaper organizer is perfect for keeping the changing table organized and toting around the house. Transport from the living room during the day to the bedroom at night. While traveling, it keeps your car clutter-free with neatly tucked baby supplies. As a special gift, this soft caddy organizer is sure to bring a smile during a baby shower or Sip and See Party. 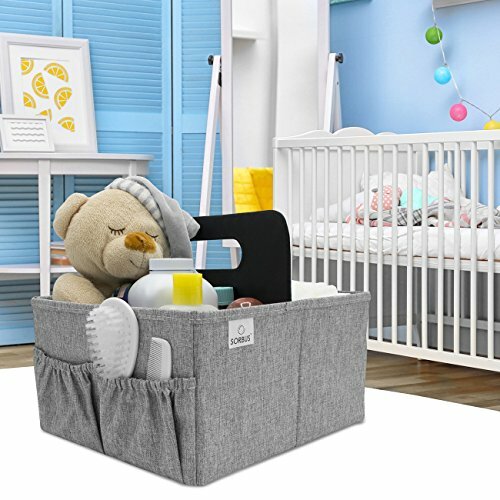 Simply fill it with basic or luxury items like a baby's first footprint kit, plush stuffed animals, cashmere booties, and more. When babysitting duties call, keep one for the grandparents so they're always prepared with a stocked diaper caddy. Enjoy a soft versatile design that folds for storage with a removable handle.